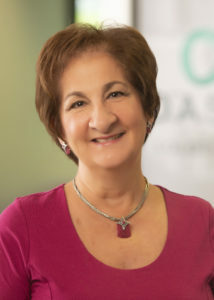 Pam Passafiume has joined the team at Oasis Solutions, an award-winning business management software partner for Sage software, NetSuite, and Adaptive Insights, as Bookkeeper. Pam has always worked in the public accounting field, processing monthly accounting for several small businesses. In 2006, she joined her family’s wholesale produce business and was employed there until it closed in early 2018. “We are so excited to welcome Pam as the Oasis bookkeeper. Pam’s experience with various companies will serve us well in taking over Oasis accounting functions. She has great attention to detail and her positive attitude makes her a wonderful addition to the team.” said Annette Manias, President and Co-Founder.